My little cousin recently ventured from New York to California to further her education. 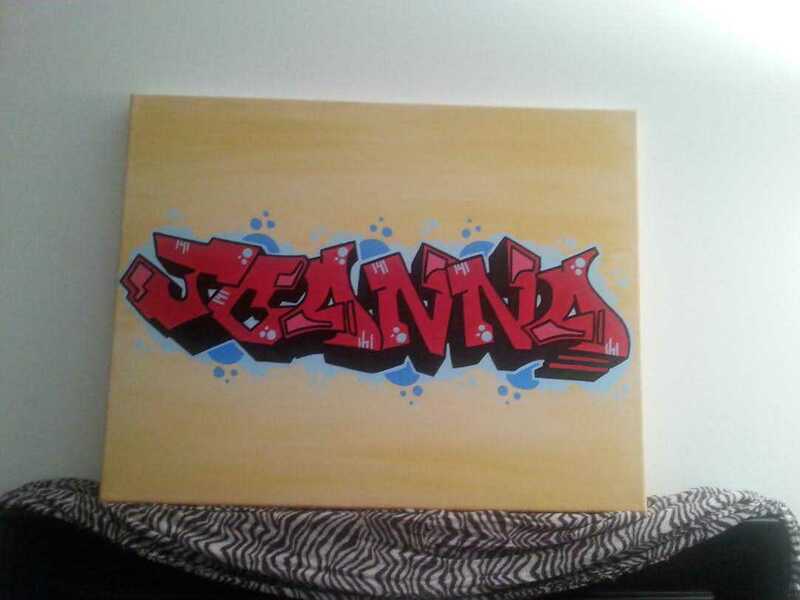 Of course I had to hook her up with a little piece of New York to hang on a wall in her dorm. Aside from that, she has been hinting here and there for the past few years that she wanted one of these. 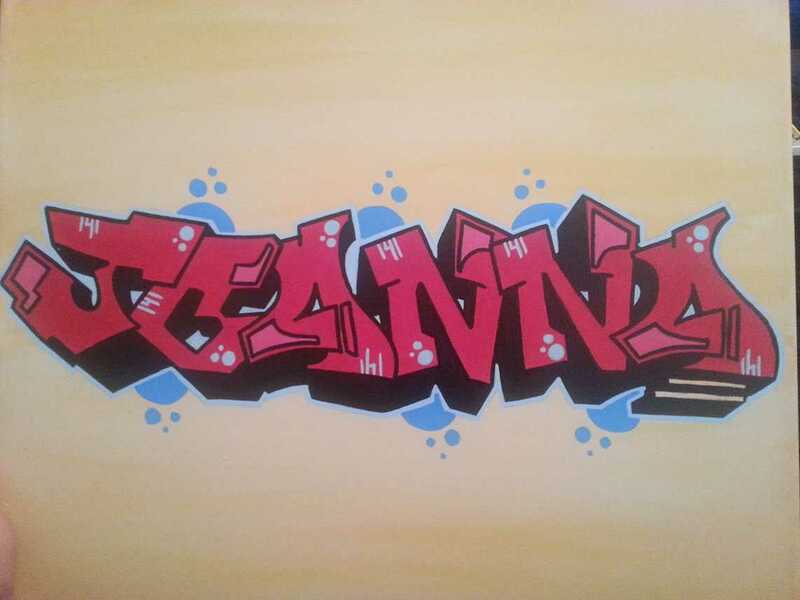 I think it was about time she had an awesome graffiti tag style canvas of her own so you guys benefit with a new walkthrough! When doing a name for someone I like to sketch it out and send it to them. This way they can get a feel for what it’s going to look like so I can consider any objections. Knock on wood, I’ve never had to actually consider any (-smiley-). With that being said, I sketched out my idea and sent this to my cousin, which got the okay to go on with it. 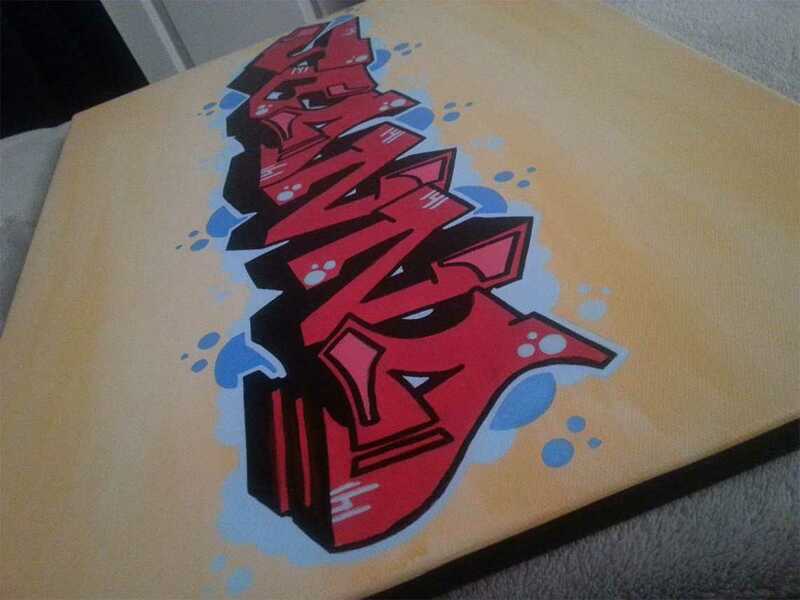 Do you remember my blended canvas post from July? 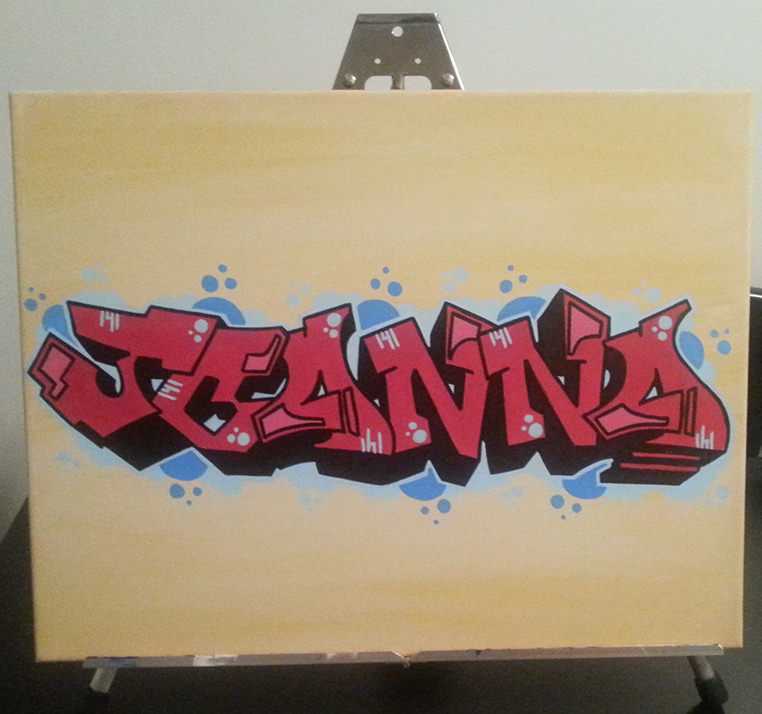 I applied that to this canvas’ technique to this background, which works excellent with graffiti. Just some paint and some water! 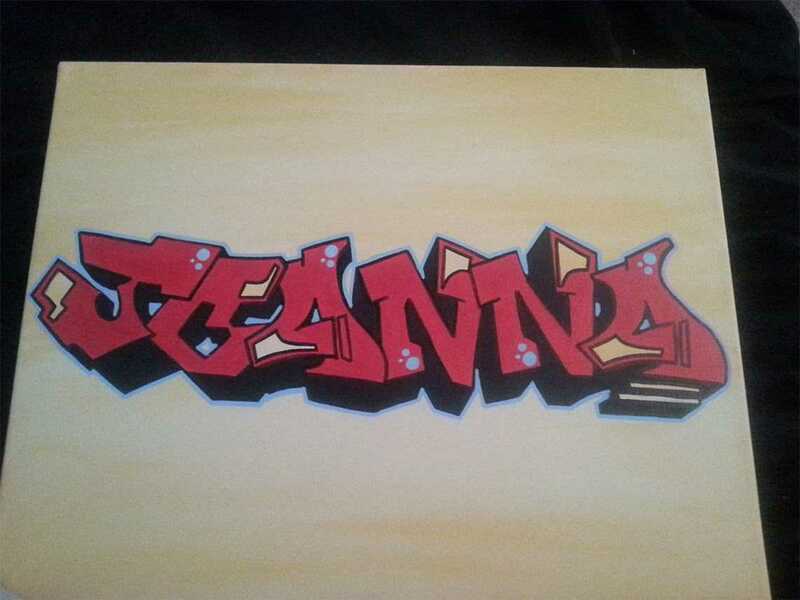 I drew her name out on bigger paper and cut it out so I could place it around the canvas in different positions to see what would look best. Being that the size of her name was cutting it close I decided to just go straight across. I asked her ahead of time for a color scheme. She was looking for something a little neutral, while still being able to incorporate her favorite color – red. Maybe my mother traumatized me as a child with her home décor but when I think neutral, I think beige. Not having beige paint I worked with whatever paint I had that was close to it, which is why I went with the blended background idea. Her favorite color is red? Let’s center that! Who wants their favorite color in tiny increments scattered here and there? I sure wouldn’t. 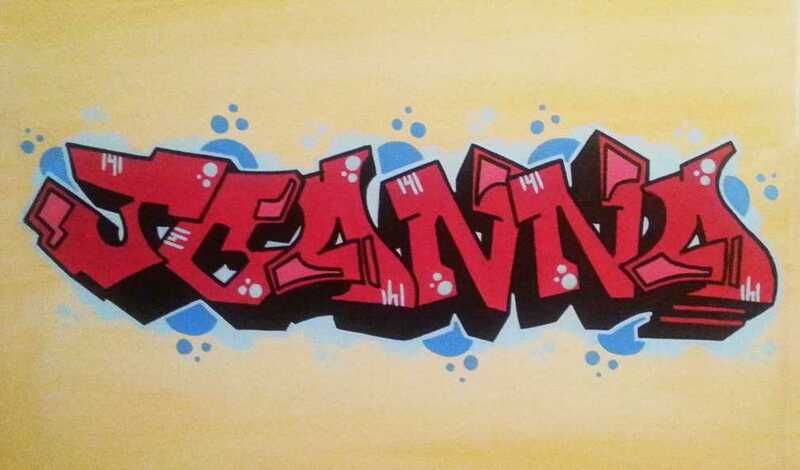 I painted the inside of her name red and hit it with a little blue highlight to make it pop, then added some interior bubbles. She’s almost 22, but she loves Ariel from the Little Mermaid. So red with blue bubbles was the direction I went in. Once I saw how much extra room I had I threw in a few of my regular little details that always add some flare. 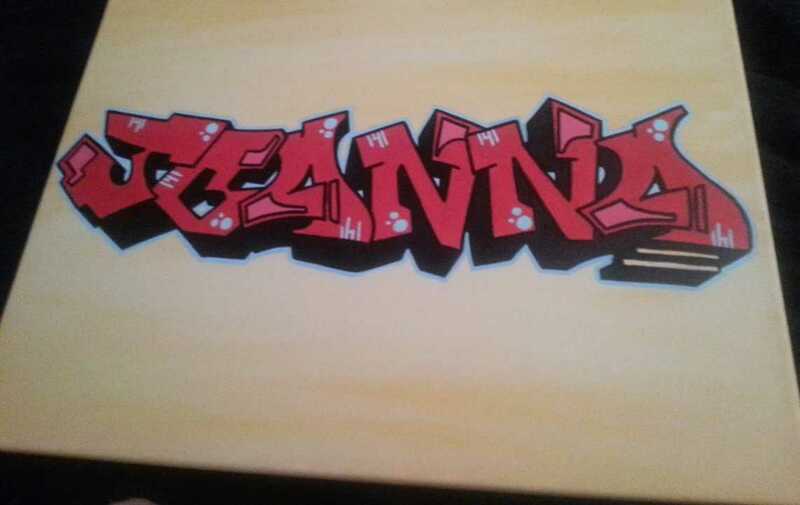 Using both a lighter red and the same highlighted blue inside the letters to break it up and give it some contrast. 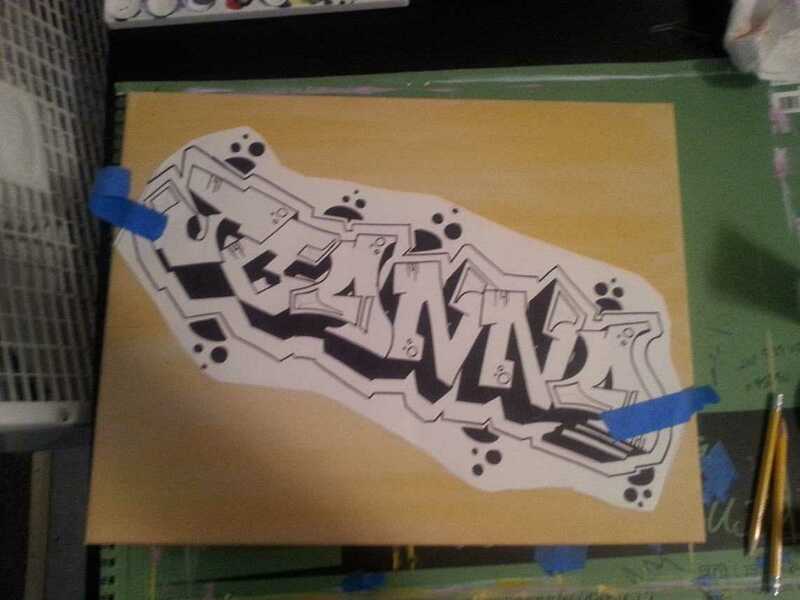 I took the bubble effect to the outside of the letters in a different shade of blue so they would stand out from the highlight shade that I would later be adding as well. This is what it looked like after I had blended the bubbles together. I painted the sides of the canvas black, to sort of self frame it, but you cant tell much by this picture but I really like this shot for some reason. At the very end I went over any imperfections with some black to sharpen the outline and she has since put it on her wall in her new dorm. Known on Instagram as DisneyDraw, Lindsey Thomsen is a 19 year old artist from the east coast. She is a self taught artist who specializes in drawing, well Disney characters! Today we’re profiling this talented young artist in our Artist Watchlist.